I love hexagons. 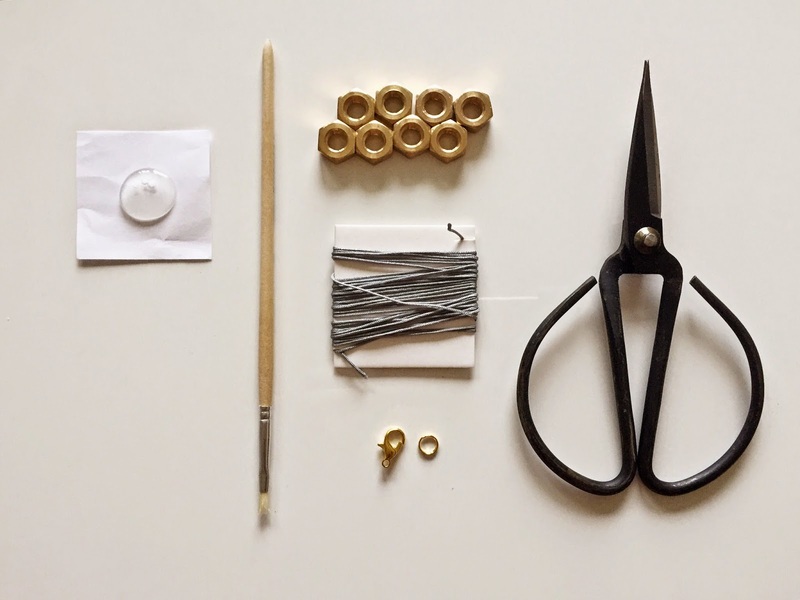 And tools. And hardware stores. And the smooth surface and weight of a hex nut. 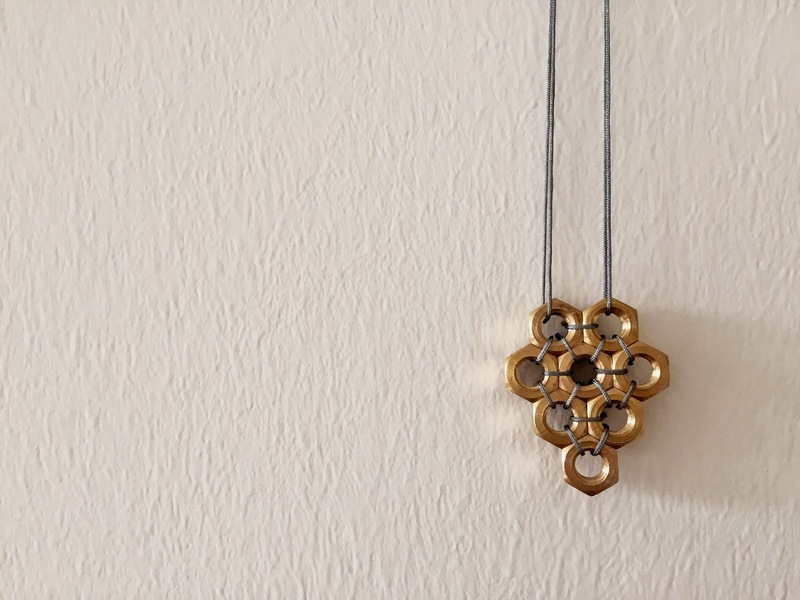 Years ago I created an entire jewelry line around hex nuts, silver ones, for MADE BY IDA, and sometimes when I'm at the hardware store buying something entirely different, a small box of hex nuts will find their way into my shopping cart. 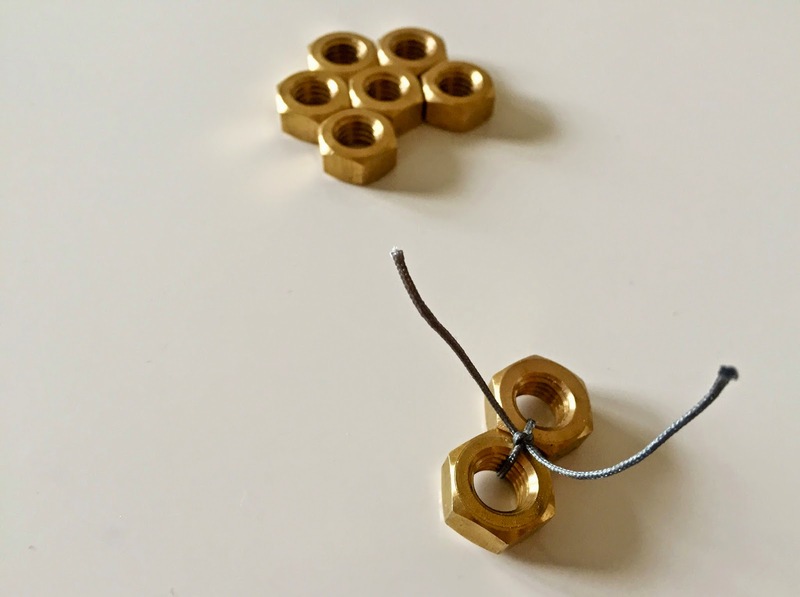 These medium sized brass hex nuts were too beautiful to leave back there. 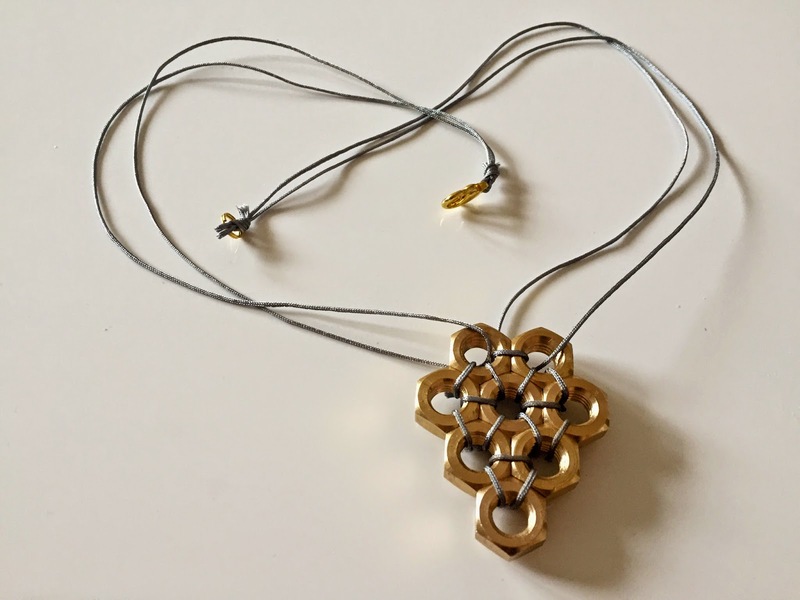 I had them lying around the house for a while and the night before I was to appear on TV I made this necklace to wear on screen. Start by playing around with the shape. 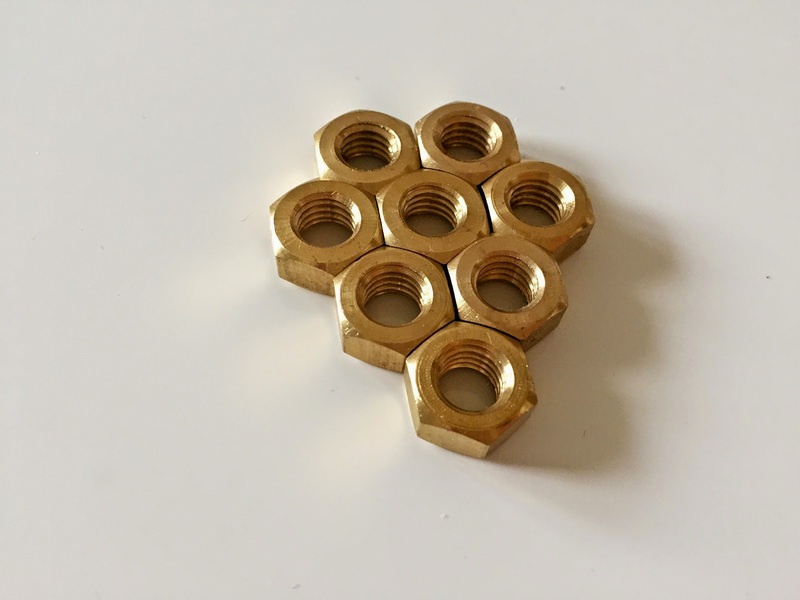 In the package I purchased were 8 hex nuts and I wanted to use all of them. I tried out several shapes and ended up liking this one the most. 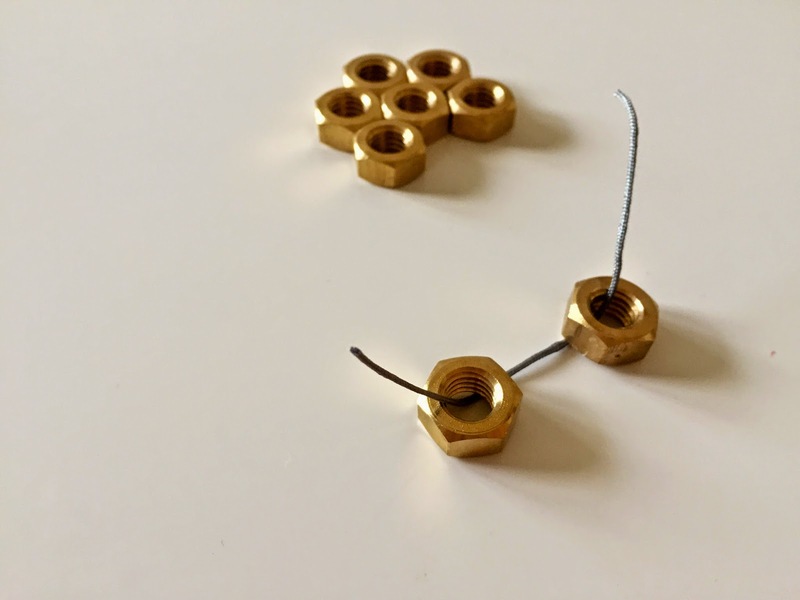 Connect all of them in your desired shape by knotting the hex nuts together with your thread. I knotted each one twice to secure the knots. I connected them on all sides. 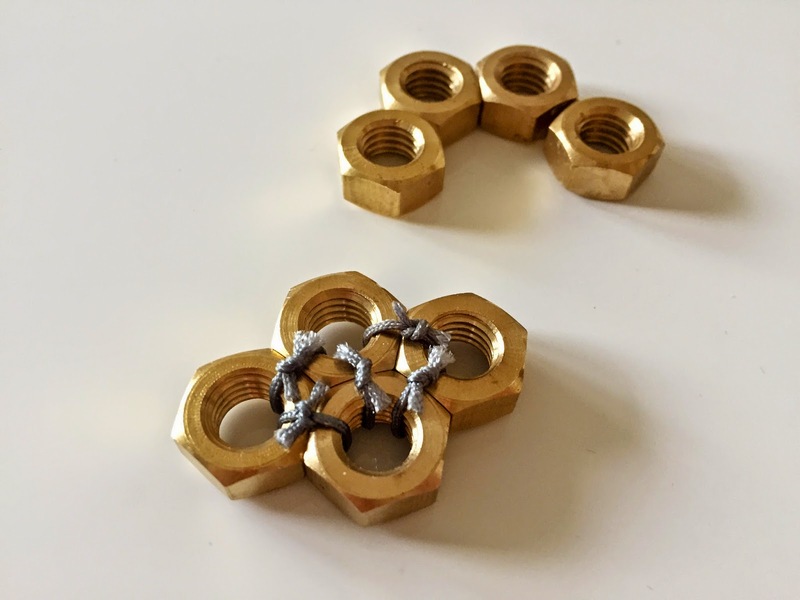 The hex nuts do have a bit of weight to them at that size, so the more thread the better. I also liked the look of the thread on the front. 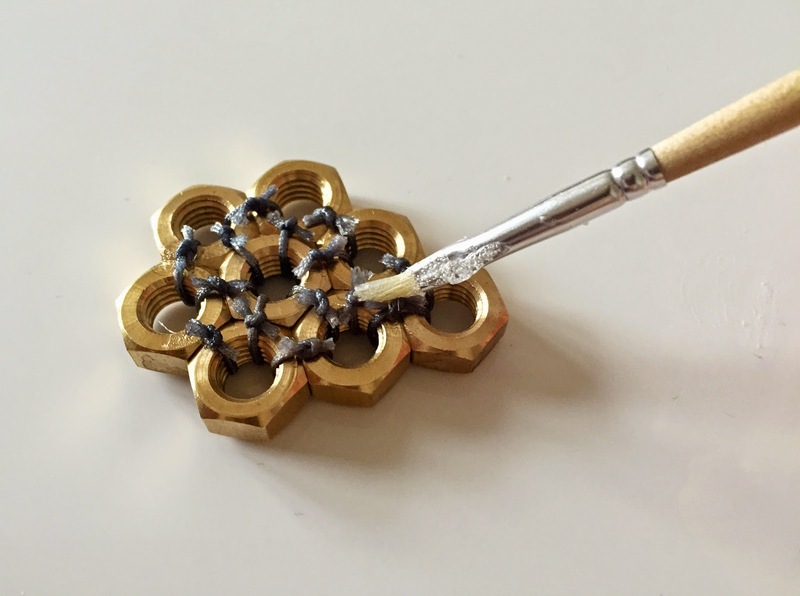 Once the shape is secured by the thread, I added a small amount of glue to the knots with a paintbrush. You can directly use the glue bottle if you want, mine was just a little too runny so I used a brush instead. I let it sit there and dry for about 20 minutes. The last step was to add thread and the clasps. And that was it!